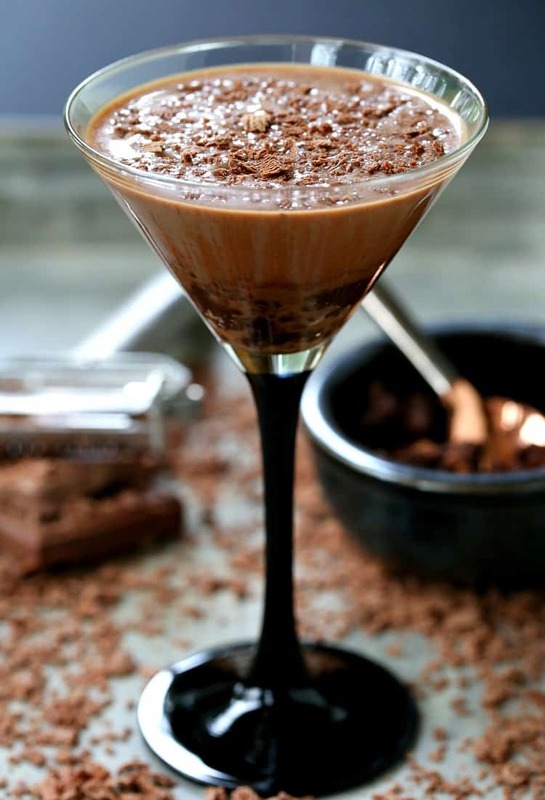 Shake up this Mississippi Mud Pie Martini at your next party instead of dessert! 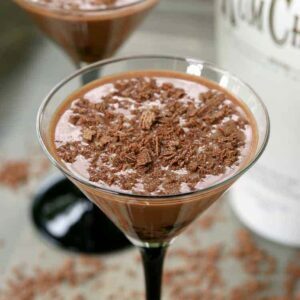 Boozy, chocolate dessert drinks are always a hit! 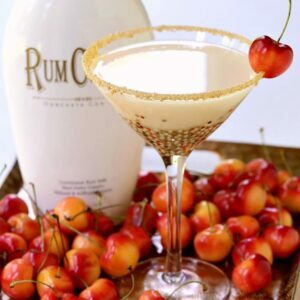 If you love RumChata drinks as much as we do, check out our famous Cinnamon Toast Crunch Cocktail or this fun Birthday Cake Martini! Desserts like Mississippi Mud Pie are things that everyone has heard of, but have you actually made one? For me that would be a no. It looks delicious, I’ve seen many different recipes for it but have never actually set out to make it. But RumChata drinks…well that’s a whole different thing. Cocktails, especially dessert cocktails seem so much easier to make (for me at least) than a whole dessert recipe. 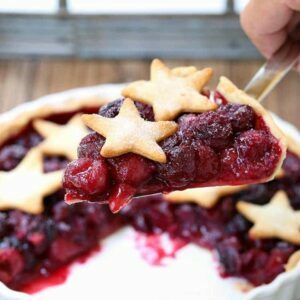 If you give me a no bake dessert recipe than yes – you might have a chance of me trying that out. Baking a whole layer cake on the other hand – not so much. 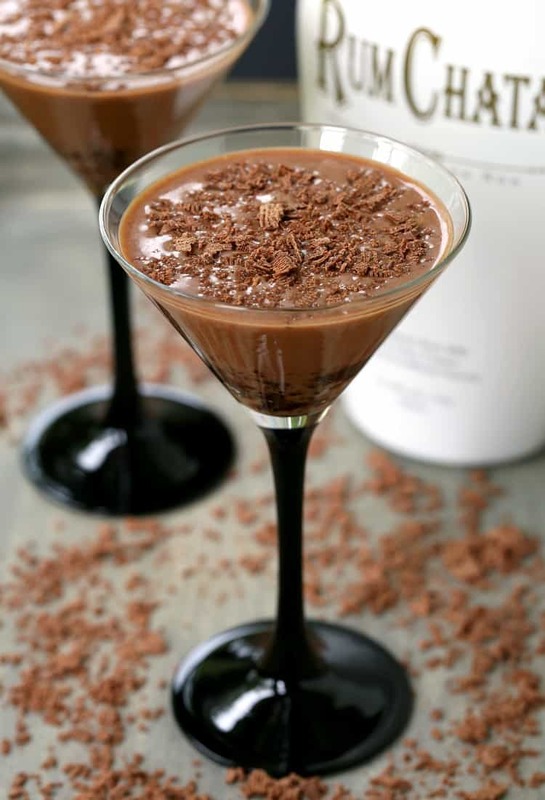 As a result, in comes the best chocolate martini recipe you’ve ever tasted. 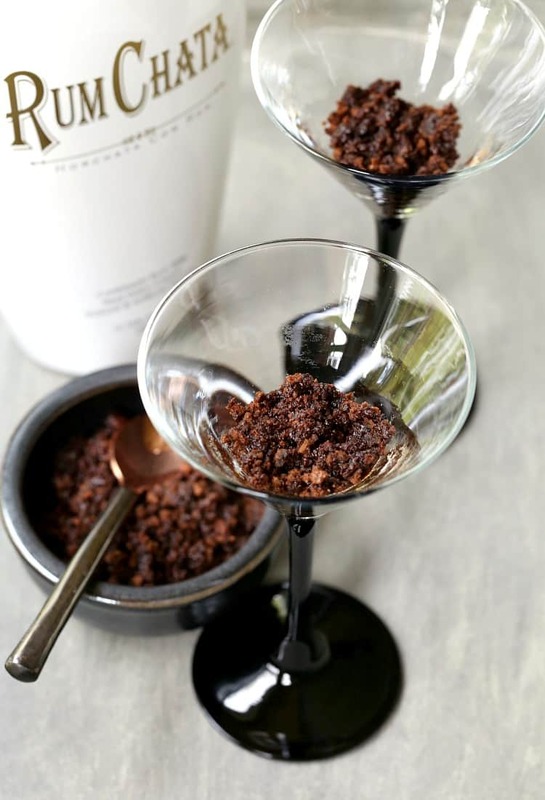 You’re going to get the same flavors here in these Mississippi Mud Pie Martini, but even better with a boozy kick from RumChata that makes this martini recipe super creamy and super delicious. 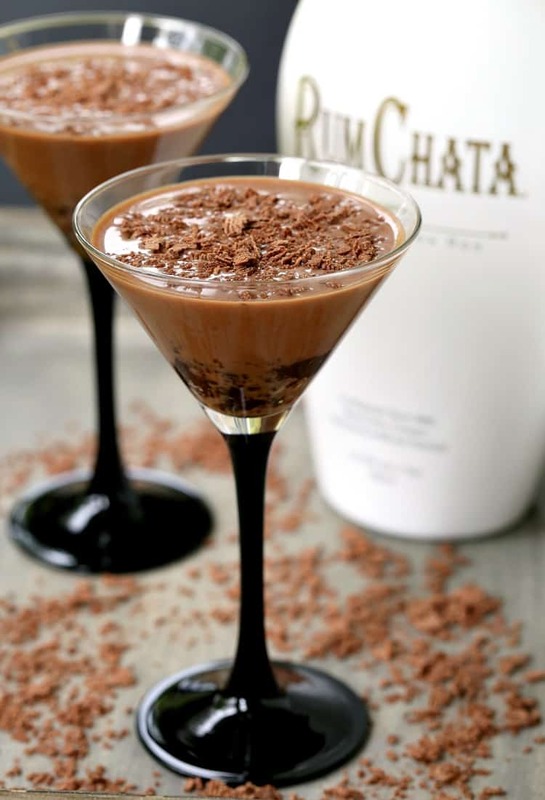 The best part about this RumChata drink is the crust-like chocolate bottom just like a mud pie would be. You can use your favorite chocolate cookies, but use plain ones without that cream center. Just a crispy, chocolate wafer that will easily crumble up for the bottom of these shooters. By the time you do get to the bottom of this drink the cookie crust at the bottom will be booze-infused with the delicious cocktail on top. So please don’t leave it behind. Whatever doesn’t come out while you’re drinking, grab a spoon and finish the rest! 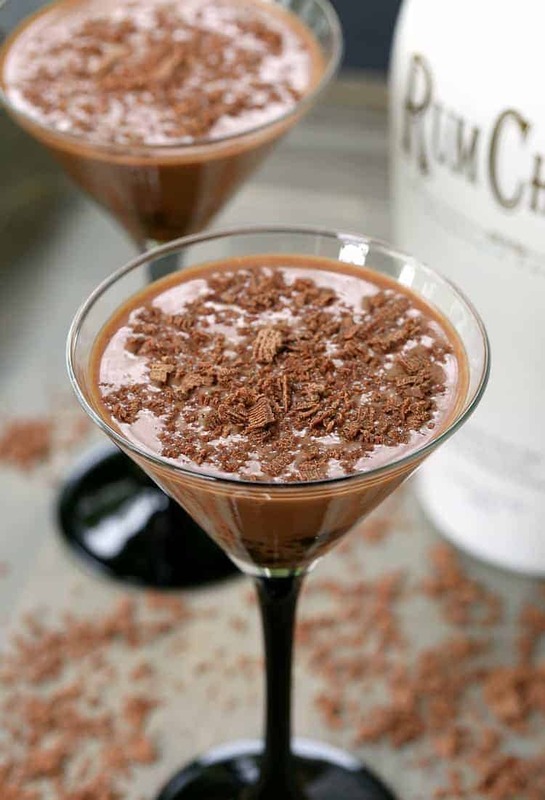 This chocolate martini recipe is a sweeter martini, yes. But don’t think that means that they don’t pack a punch. 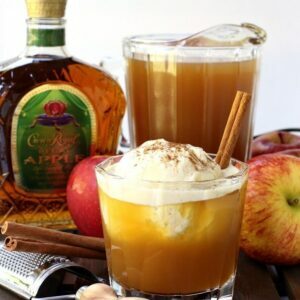 Not only are they boozy, but they are rich and crazy delicious. So if you’re wondering if these martinis can actually be swapped out for dessert? One sip should be all the answer you need! Looking For More RumChata Drinks? 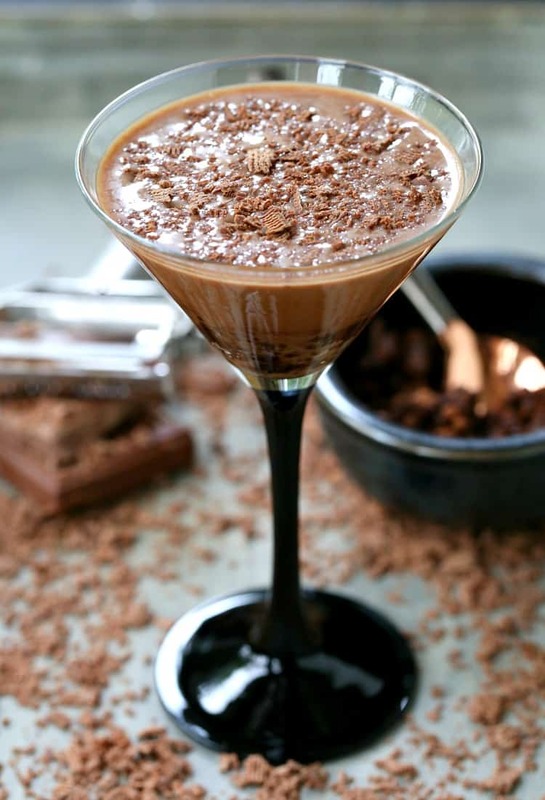 A delicious, chocolate martini that can be served for happy hour cocktails or even dessert! Everone will be asking for more of this RumChata drink! Crush the cookies in a plastic bag. Pour into a bowl and mix together with the chocolate syrup. Divide the cookie mixture in half and spoon into each martini glass. Add the ingredients for the martini into a cocktail shaker only half filled with ice cubes. Shake well and divide equally into each martini glass. Top with chocolate shavings and serve.